Sponsoring a horse is one of the ways you can support Mylestone's efforts. 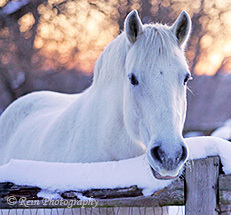 Through a monthly donation of $25 or more, one of the residents of Mylestone will become your 'sponsor' horse, and you will receive a new photo and monthly sponsor update detailing goings-on at the farm. Your donation will be applied towards the horse of your choice, or we will apply it towards the care of a horse we know to be in the greatest need. Regular sponsors are the lifeblood of Mylestone's efforts, and we are very grateful to sponsors, as we could not do it without your support. The average cost of taking care of a horse can be $200 to $250 or even more (such as when special medication is needed, or special food and care) per month. Your sponsorship support can be 2 months, 3 months, 6 months or a year. Please note: Mylestone does not offer one month sponsorships. We are happy to accept ongoing monthly donations to sponsor your horse, but we must receive your monthly donation by the 25th of each month in order to send your updates to you. To give a gift sponsorship, read more here. 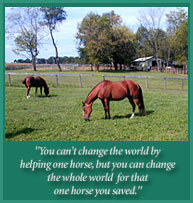 All of the Adoptable Horses and Sanctuary Horses are in need of sponsors. Each can be sponsored from their individual pages, or if you have already chosen a horse, please open our Sponsorship Form in PDF format. If paying via PayPal, please look at the Sponsorship Form and be sure you include all required information when you complete your donation through PayPal or e-mail us with the information. Thank you! are tax deductible to the fullest extent of the law.